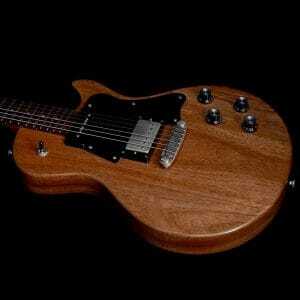 In stock at Sound Affects Premier is a particularly interesting creation from Patrick James Eggle guitars. A brand new model from Patricks bespoke Oswestry workshop, the Macon Jr. is a single cut guitar based on the classic Gibson LP Junior design, but The ‘Two Pigs’ part of the name has a bit of backstory behind it. 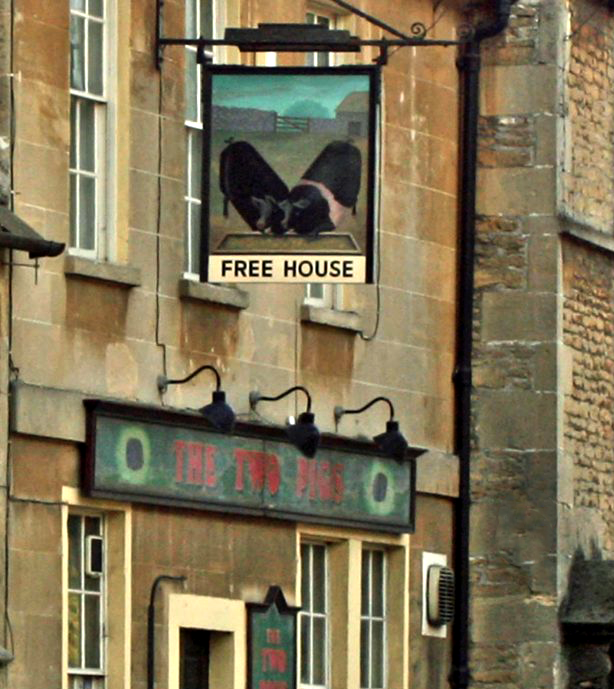 ‘The Two Pigs’ was the name of a drinks-only pub that had resided in Corsham, Bath. The building stood proudly serving drinks to the local community under various names and owners for over 250 years. However as its current owners reached retirement, and they struggled to find someone to take over the business, it’s doors closed and the historic building was converted to a private residence. 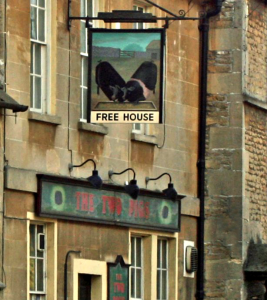 ‘The Two Pigs ‘ was a public house with a lot of history in the area, and also happened to be the local watering hole for The Guitar Magazine, whose staff came up with the idea to ensure the Two Pigs will always be remembered in a rather special way – by making the bar top into guitars! The bar top is made from a species of wood known as Meranti; Philippine Mahogany, which has a beautiful pink/red hue, and excellent tonal qualities in the midrange that has recognised in countless models over the history of the electric guitar. 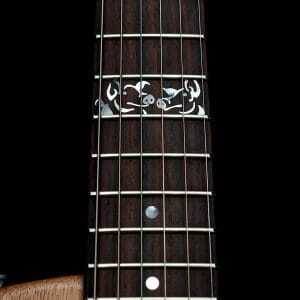 Only three of these Macon Jr. ‘Two Pigs’ guitars have been built by Patrick, and are they made to the highest standards of quality that we have seen in the other guitars in his line. Alongside the meranti body and neck, we have a rosewood fingerboard, Gotoh SD90 locking machine heads, hand-wound Mojo pickups (humbucker in the bridge, P90 in the neck) a single piece ABM3025 wraparound bridge and a 24,625″ scale. Finally, at the 12th fret is a unique inlay that pays homage to the origins of the wood that these fantastic guitars are made from. This guitar is comfortable, resonant and made to excellent standards – and as we all know, every great guitar has a great story.